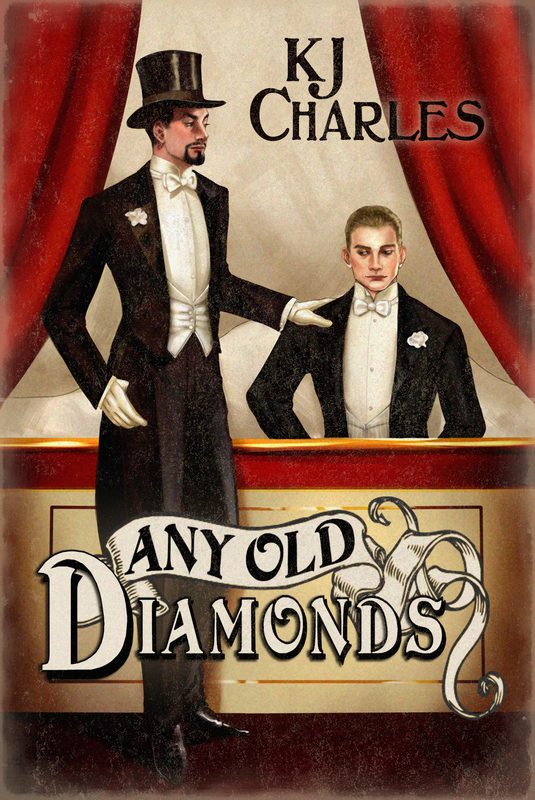 http://kjcharleswriter.com/wp-content/uploads/2015/12/A-Queer-Trade-cover1-1.jpg 2700 1800 KJ Charles http://kjcharleswriter.com/wp-content/uploads/2015/06/header3.jpg KJ Charles2016-02-02 06:42:182016-02-02 06:42:18A Queer Trade is out now! 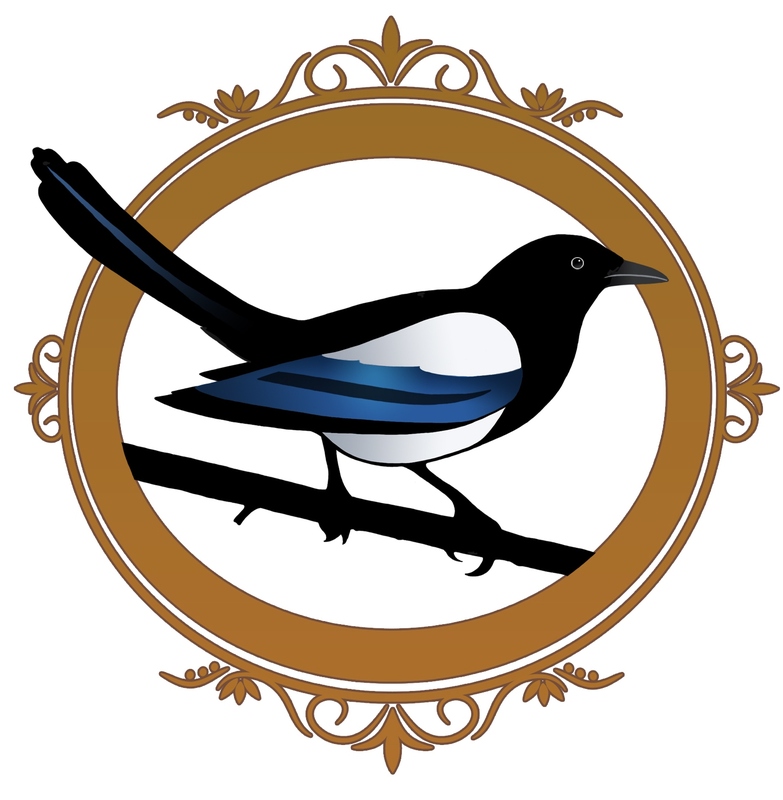 I’m delighted to say that I’ve signed the contract for a second trilogy with Loveswept (Penguin Random House, publishers of the Society of Gentlemen). 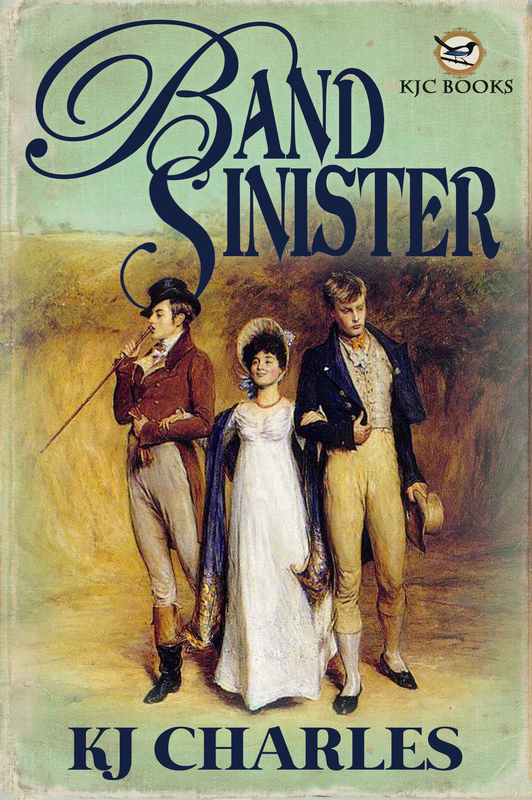 Set in the 1870s, among the dubious, the déclassé and the dishonest, the trilogy is about high birth, low life, family secrets, blackmail, lies, murder, the love that dare not speak its name, and the love that speaks its name loud and clear, with pictures. A pornographer ­­­­­and a socialist join forces to investigate murder in London’s sexual underworld; a fraudulent spiritualist and a sceptical journalist get tangled up in the search for a deadly family secret; a music-hall trapeze artist may not survive an unexpected inheritance unless a private enquiry agent can find some answers. You may be familiar with the works of Wilkie Collins, who was basically Dickens on crack. He wrote balls-to-the-wall sensation fiction full of murder and inheritance shenanigans and people unmentionable in polite society, and did so while drinking laudanum (opium dissolved in alcohol) by the pint, chased down by champagne. Well, this is my go at Wilkie Collins, though not at his personal habits unless things deteriorate quite considerably over here. This is a mostly m/m romance trilogy—it includes my first genderqueer main character—and I’m really looking forward to getting my teeth into this project. More news as it comes! I am also making my first venture into self-publishing with ‘A Queer Trade’. This 16K story, first published in the Charmed & Dangerous anthology, introduced Ned Hall and Crispin Tredarloe, who star in the forthcoming novel Rag and Bone (coming from Samhain, March 2016). I’m bringing out ‘A Queer Trade’ in early February as a separate edition. How about this cover by Catherine Dair? 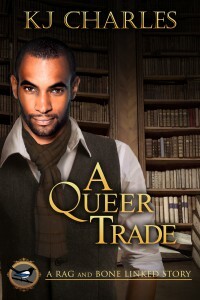 Smashwords and Amazon preorders are up for ‘A Queer Trade’ and it’s rolling out to the usual places. 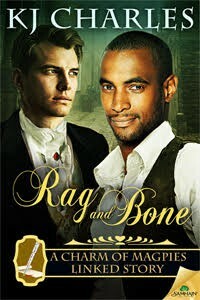 Rag and Bone comes out on 28 March, and here’s the cover again (Angela Waters for Samhain) for the sheer glorious loveliness of it. I might have to write about 15 more of these. That’s it from me for now. I’m signing off for Christmas and then off on holiday, back in mid January. Season’s greetings, happy new year, and see you in 2016 for more books!